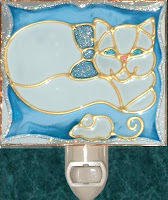 For all of us who love our cute little furry friends, our artisan made nightlights are purrfect for you. 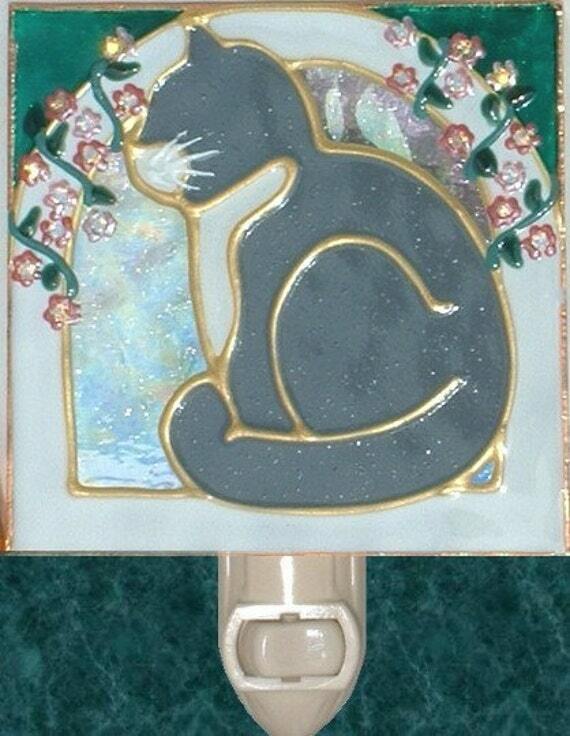 Have your pet with you in every room of the house with custom made feline artwork. We can make any breed in any background, pose, and color. Our graceful blue eyed Siamese with pink flowering vine decorations and Ginger Tabby in a cute little pose with sparkly flower tendrils are just examples of the kinds of feline decor that we can do. We also have a cozy little white Persian with Mouse decoration and a simple porcelain white kitty with a dazzling bow. All of the colors (including the jewels) can be changed at no charge and we can add a name too!